Bullet Journaling seems like the perfect metaphor for life. 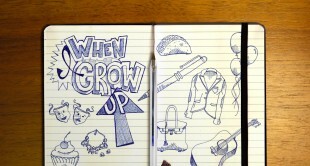 It’s as much or as little as you want to invest in the confines of a notebook. As tidy and planned, or as fluid and embellished as you prefer. 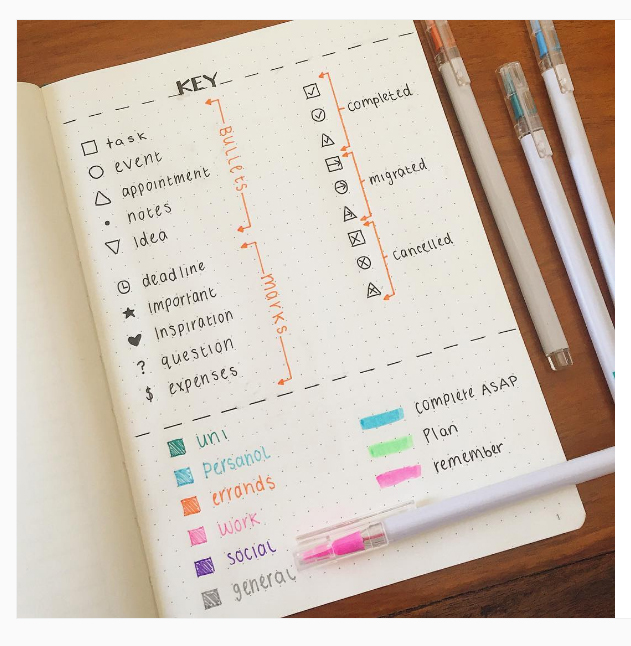 Express and differentiate yourself with pen doodles, washi tape borders, and hand-lettered headers or function beautifully in a minimalistic collection of lists and goals. Your bullet journal isn’t pre-printed. It includes only want you want it to. It may be scary or maddening when you begin but it can feel intoxicating after just a few entries. And it can artfully and effectively help you organize your life. 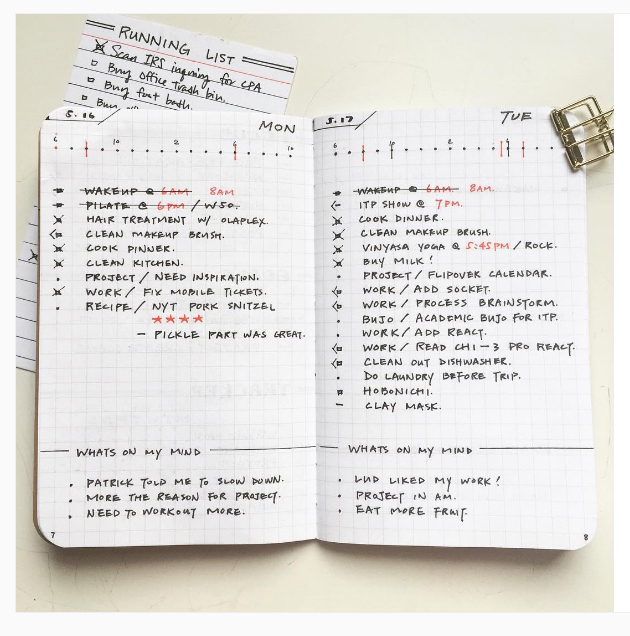 Ready to see a few inspiring examples of “BuJo” can help you get organized? Read on! 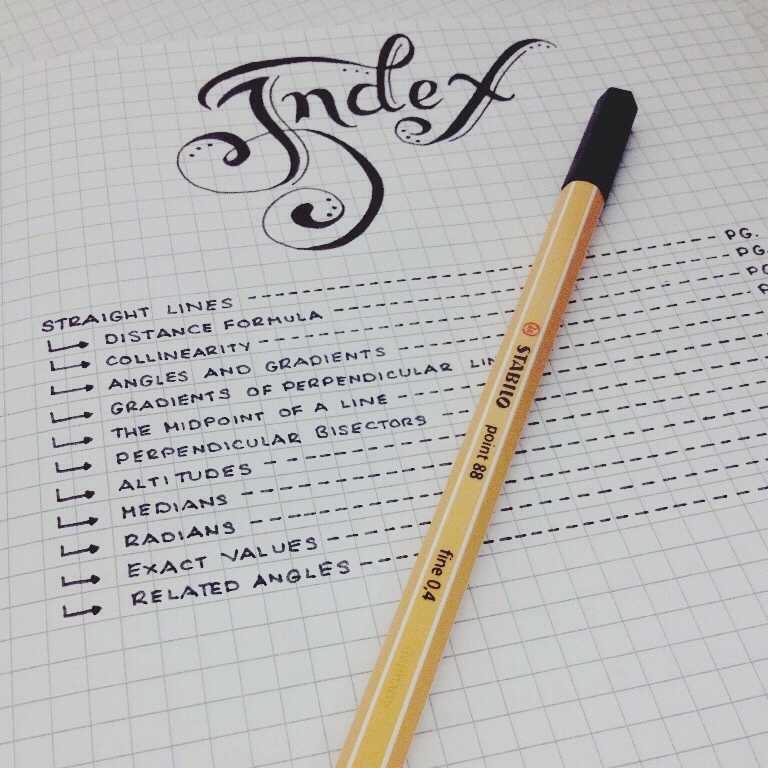 The index and key let you create a highly-visual shorthand for your notes. 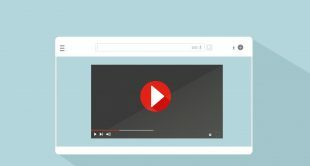 They essential for helping you find what you need quickly and efficiently when adding to, or referring back to entries. 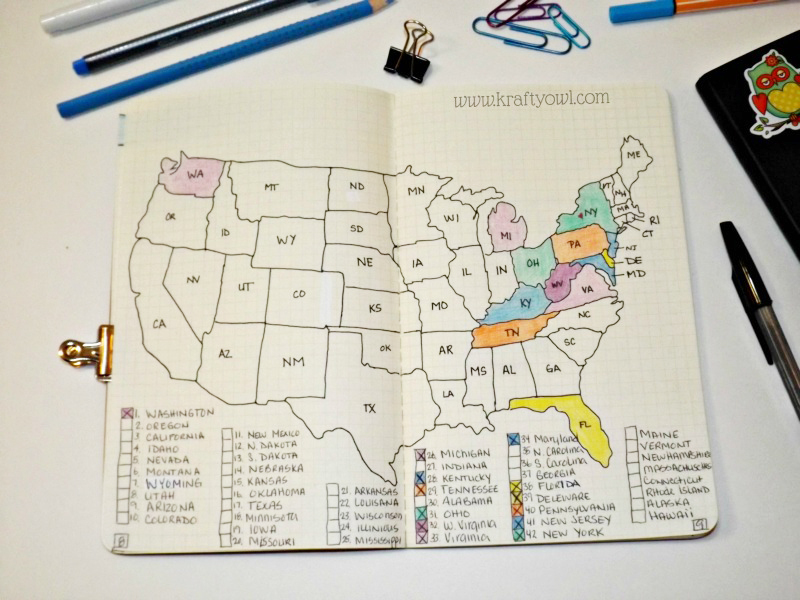 Bullet Journals can help you plan events and track ideas. 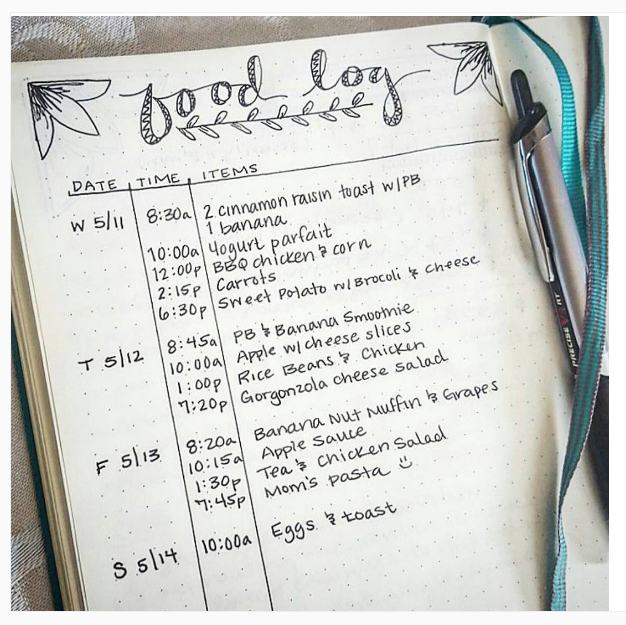 You can use Bullet Journaling for back-to-school coordination, pregnancy journaling, holiday meal planning, etc. Illustrate your ambitions with a bullet journal entry! 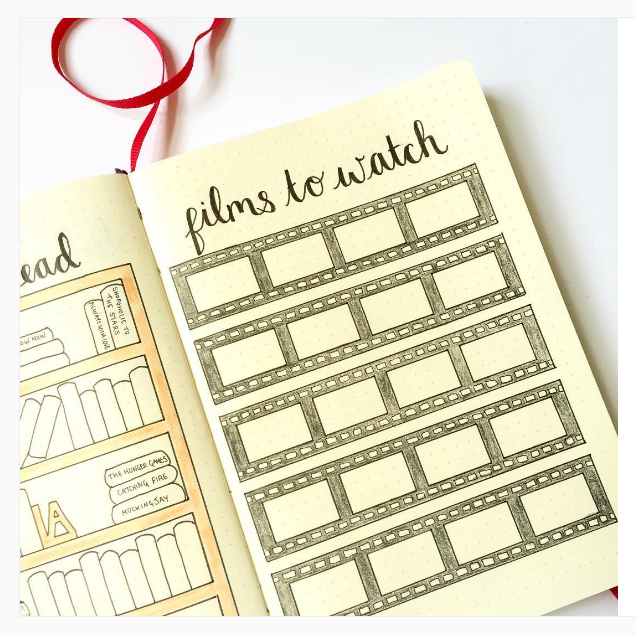 You can use bullet journaling to keep track of the mundane, like what movies to Netflix, to the adventurous. You don’t need an app for that! 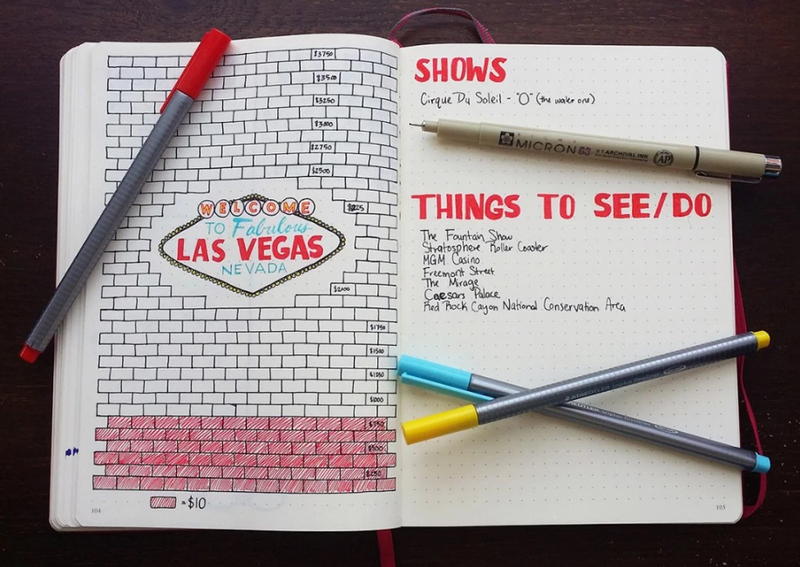 Bullet journaling is a lo-fi alternative to fitness apps and wellness trackers. Use your pages to track goals, document achievements, and keep your health on track. Whether you like lots of illustrations and colors, or keeping it minimal, your journal is a reflection of how you note-take, calendar, grocery shop, medicate etc. 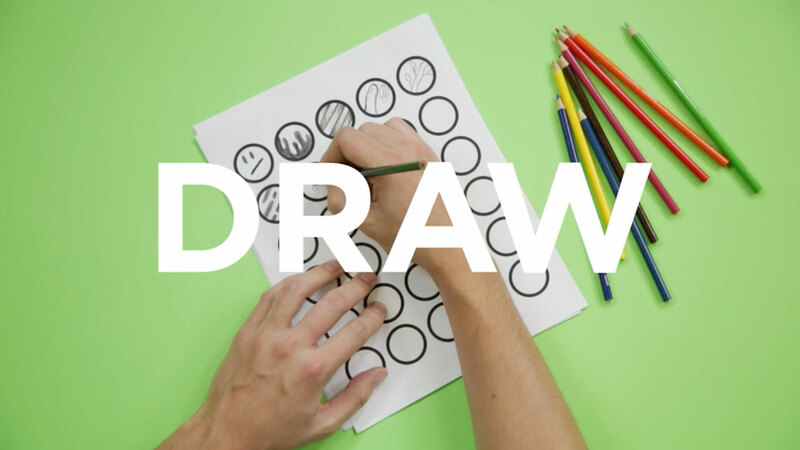 You decide how embellished, artful, or ordinary you want it to be. So Who is Doing this REALLY WELL? Ryder Carroll started this system of journaling and has since done a pretty amazing job at building a community of Bullet Journalists. Find out more about him and where Bullet Journaling is heading on the official Bullet Journal website. Boho Berry is impossible to avoid because the genius behind the site, Kara Benz, is just SO GOOD at what she does! She has lists of favorite supplies (goodbye paycheck!) and shares things she’s learned, and (ahem! 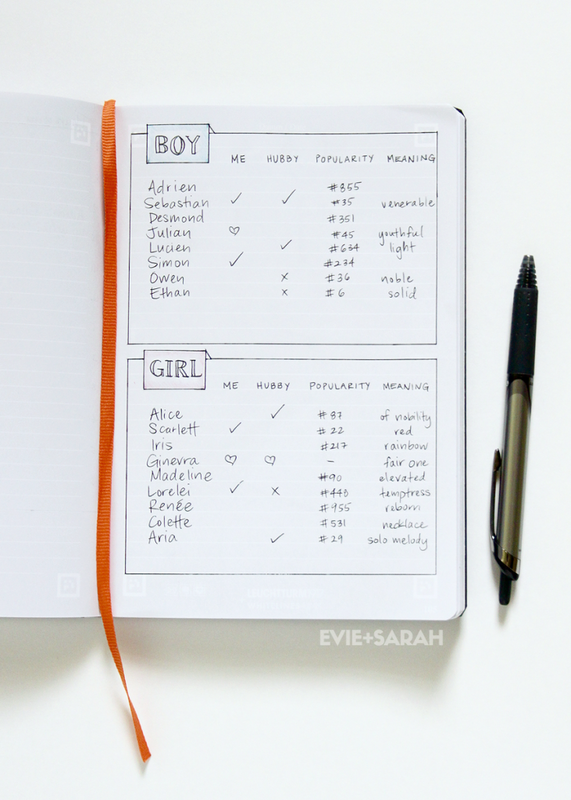 Mistakes that she too makes) AND has loads of cute stickers and printables in her Etsy store to help you get that instant gratification that comes with a beautiful BuJo without a ton of trial and error. Tiny Ray of Sunshine has a really approachable style and you probably recognize her work because Buzzfeed often shares her pages when they publish their eye-popping round-ups. 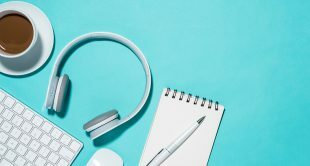 Depending on the style of Bullet Journal you gravitate towards, you will find TONS more inspiring work online (um, cancel your weekend plans, because this list is of Bullet Journal communities is everything). 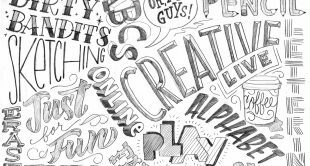 Or check out some of CreativeLive’s incredible hand-lettering classes and make your journals more beautiful.